I had never played Killer Instinct prior to demoing it at E3 this year, so I have no idea how it holds up in relation to those games, but this one is aggressive, it’s fast, and the announcer is awesome. So I’m on board. Killer Instinct is sort of a middling on the spectrum of fighting game styles; it’s not all that complex, but there’s still a lot going on. When I asked one of the devs at Double Helix for some tips for someone who’s never played Killer Instinct, he told me to “be aggressive.” I took that tip and I ran with it, so if Killer Instinct is a simple, aggressive, fast-paced fighter than I’m absolutely down with that. This is a six-button fighting game, so that means low, medium and high variants of punches and kicks, much like Street Fighter. Killer Instinct’s main mechanics are combos and combo breakers, but they behave differently than in any other game I’ve played. After a successful normal attack (pressing any button) you can follow up with more normal button presses or go into a special attack (a directional press or motion and an attack button) like in many games. However, at any point of the combo the enemy can unleash a combo breaker by pressing both the punch and kick of equivalent strength to match the incoming attack (e.g. if the incoming attack is of medium strength, you’ll hit both the medium punch and medium kick button). If the combo breaker succeeds, the defender immediately counter-attacks in the form of a knock-down. However, if it’s the wrong combo breaker, they’ll get locked out and the attacker’s combo can continue for a longer time. How long? I’m not sure, but enough to get in heaps of damage. Mechanically Killer Instinct is very simple: the combos and combo breakers are the meat of the game. This gives you space to focus on learning characters, and while there were only two at the show, I enjoyed them both and they felt decidedly different. Saberwolf was fast and relentless whereas Jago played with the space around him with a bit more finesse. For all its aggression, button mashing is rather viable so take that as you will, but I enjoyed it. Certainly my first two matches I lost thoroughly, but I was able to pull off some cool combos and it didn’t take long to figure out how I did it. Because you’re given so much opportunity to wail on enemies, mashing quickly turns to learning. 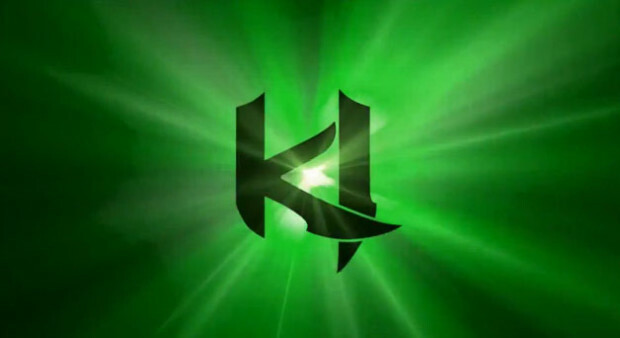 We may not know how exactly the free to play system will work with Killer Instinct, and in fact we don’t know much about the game at all, but I’m absolutely excited for it after playing it. I’ve always enjoyed fast 2D fighters like BlazBlue or Street Fighter III and this game’s no exception, but mechanically it’s definitely not as deep as many other fighting game franchises. However, it does have one of the best announcers I’ve heard in any game of all time, and coupled with the amazing sound design this is definitely a game that’ll get you hyped up.